Richard and I have dreamt of a proper week-long ski holiday for a few years now. I was always doubtful that I’d be able to enjoy it, since I’m the single most uncoordinated person I know and I’m perfectly capable of falling over my own two feet, without the help of long skis and scary ski-boots. I also haven’t been remotely fit, in at least a decade. I don’t gym. I don’t run. I don’t even take the stairs. Not unless the lift is broken! To say that I was really excited, yet worried at the prospect at relying on my own physical abilities for a week is an understatement! I can happily report back that despite spending day 1 in the beginner’s class & day 2 on green (beginner) slopes I was cruising down blue slopes (intermediate) before I knew it! And, what was the resort like? Well, don’t only take my word for the awesomeness (or our cool video 🙂 – I see even the Daily Mail wrote a really great review on “the resort designed by Facebook“. 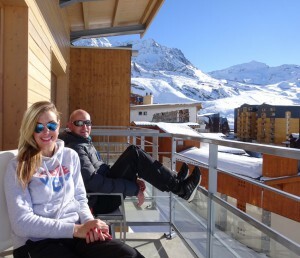 All the hotel’s balconies face the slopes… And the sun! 1. If I can comfortably ski blue slopes within a week, anyone can. Even you. Really. 2. When Club Med says “ALL INCLUSIVE” they mean it. I didn’t need to take my wallet out, for a week! 3. The massive food buffet at ‘Yurts Restaurant’ transforms with every meal. We were entertained and surprised every single time… And then I haven’t even started on the AMAZING “Epicurious Lounge” which also offers gourmet meals, a great variety of drinks and entertainment! 5. Yes, it’s freezing cold! But once you’re inside, it’s lovely and cosy. And when you’re outside, skiing, you dress the part and you exercise, so voila. 6. 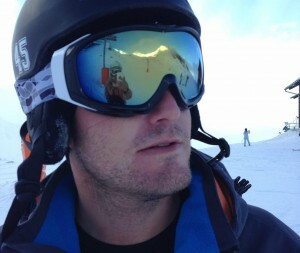 It’s a ski-in, ski-out resort which is very convenient and you get your equipment hire, ski classes & ski pass included. **Disclaimer: I have tried skiing before, with little success, for 2 days in New Zealand (4 years ago) and half a day on a synthetic, indoor slope in Dubai (3 years ago).